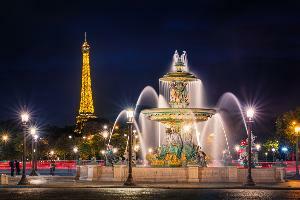 Prize: trip for two to Paris, France. Approximate retail value $7,000. (Offered in the form of a travel credit. ); A set of RICARDO kitchen accessories worth $250. Total value: $7,250. Statistics: This contest was opened by 72 and entered by 15 ContestChest.com members. 21% of those who opened the contest, entered it.